I should have taken a lot more pictures. I take pictures of very random things. What did I learn from this? That I need to take at least a dozen pictures each day when I am at a convention (Paul adds: Don't worry Phil; lots of us took pictures too. I tripled the size of the Flickr set when you weren't looking . . . including one of you standing in the signing line!). I will try to do a better job for you guys while we're at PAX later this month. 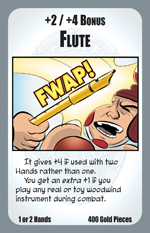 It's time for another sneak peek at Munchkin Axe Cop! 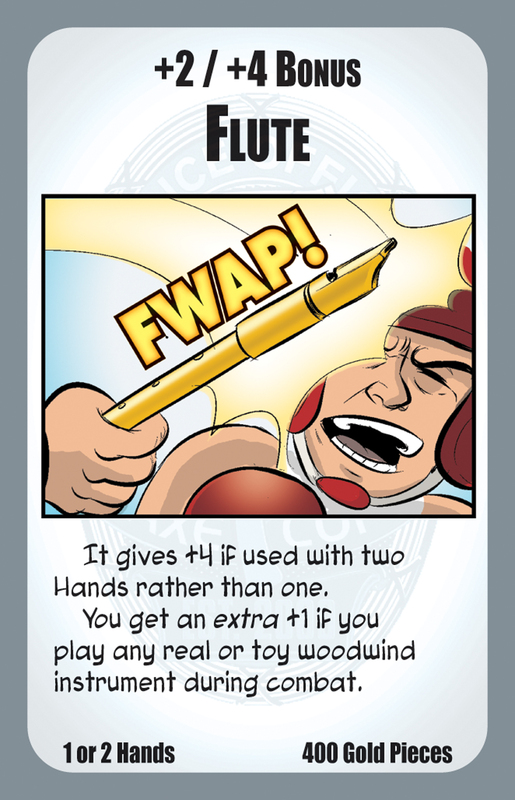 If you played with one of our prototypes at Gen Con, you may have seen this card. No one, to my knowledge, had a woodwind instrument on them . 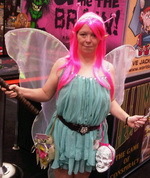 . . although I did see a couple of stone flutes around the show. I wonder if they would count: there's no "wood," but it is a flute. I'd vote to allow it, if it happens in my group. Heck, we may even have a copy to sell to you . . .